A very big news for Bike Lovers Yamaha,Japanese Bike Maker is going to launch its very new and branded Bike to capture your hearts ! New Yamaha SZ is arriving on Indian Roads very soon by June 2010. This new bike is really going to have all the features to mesmerise you as its main aim is to provide you power and comfort. Stunning New Yamaha SZ has specially made for passionate bike lovers. It is specially made keeping in mind all your requirements it is powered with 123.7cc Air-cooled, 4-stroke, SOHC, 2-valve Engine from gladiator range. Branded New Yamaha SZ provides power that is 11 Bhp @ 7500 rpm, peak torque is 10.4 Nm @ 6500 rpm. 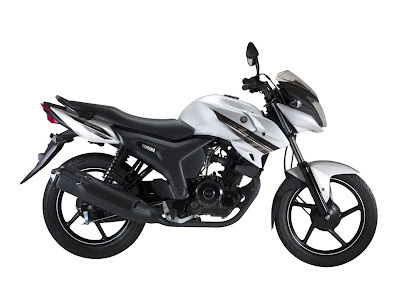 This stunning bike has two colours white and black with wonderful 5-speed manual gear system. New Yamaha SZ has got really stunning looks to gaze you at is has beefy front fairing, bold exhaust with stylish and sporty rear, this bike promises good fuel economy which is about 65 kmpl and an affordable price range of Rs 50000 to Rs 55000. This bike has got something special to offer you so if you are looking for a new bike or want to replace your old one then why not New Yamaha SZ. u seem to be a yamaha insider, the bike doesn't appears to have a kick starter, hope the production version will.